The optimal dose of neoadjuvant radiation for locally advanced, resectable esophageal cancer remains controversial in the absence of randomized clinical trials, with conventional practice favoring the use of 50.4 vs. 41.4 Gy. Retrospective analysis of adults with non-metastatic esophageal cancer in the National Cancer Database (2004–2015) treated with neoadjuvant chemoradiotherapy. Outcomes were compared between patients undergoing 41.4, 45, or 50.4 Gy. Primary outcome was overall survival. Secondary outcomes included T and N downstaging and perioperative mortality adjusted for demographics, clinicopathologic factors, and facility volume. Eight thousand eight hundred eighty-one patients were included: 439 (4.9%) received low-dose (41.4 Gy), 2194 (24.7%) received moderate-dose (45 Gy), and 6248 (70.4%) received high-dose (50.4 Gy) neoadjuvant radiation. Compared to high-dose, low-dose radiation was associated with superior median overall survival (52.6 vs. 40.7 months) and 5-year survival (48.3% vs. 40.2%), and lower unadjusted 90-day mortality (2.3% vs. 6.5%, all p ≤ 0.01). Multivariable proportional hazards models confirmed an increased hazard of death associated with high-dose radiation therapy (HR = 1.38, 95% CI 1.10–1.72, p = 0.005). There was no significant difference in T and/or N downstaging between low-dose vs. high-dose therapy (p > 0.1 for both). Patients receiving 45 Gy exhibited the lowest median overall survival (37.2 months) and 5-year survival (38.7%, log-rank p = 0.04). Compared to 50.4 Gy, 41.4 Gy is associated with reduced perioperative mortality and superior overall survival with similar downstaging in locally advanced esophageal cancer. In the absence of randomized clinical data, our findings support the use of 41.4 Gy in patients with chemoradiation followed by esophagectomy. Prospective trials are warranted to further validate these results. This study was an oral presentation at the 12th Annual Academic Surgical Congress in Las Vegas, Nevada, 2017 and since has been updated to include data through 2015. The online version of this article ( https://doi.org/10.1007/s11605-018-4007-3) contains supplementary material, which is available to authorized users. Julie A. Sosa, M.D., M.A., is a member of the Data Monitoring Committee for the Medullary Thyroid Cancer Consortium Registry supported by Novo Nordisk, GlaxoSmithKline, Astra Zeneca, and Eli Lilly. The other authors declare that they have no competing interests. NCCN Clinical Practice Guidelines in Oncology: Esophageal and Esophagogastric Junction Cancers. Version 1.2017. 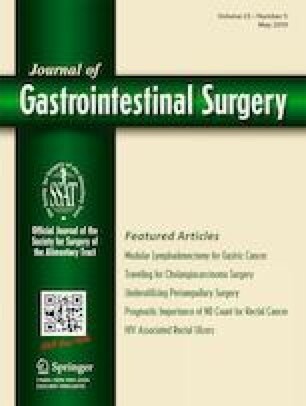 2017 [cited 2018 March 30, 2018]; Available from: http://www.nccn.org/professionals/physician_gls/pdf/esophageal.pdf.